These Conversos were players in a cosmic play ultimately determined by G-d. The play according to Ben-Shalom was the ongoing development of civilization in its understanding of the Divine and in the ultimate acknowledgment of the G-d of Israel. Even false religions played a part in this process. For Abravanel, the then current state of religious affairs, among Jews as well as among Christians and Muslims pointed to a growing theological crisis. The Talmud noted that the Messiah would not come until the entire Kingdom was afflicted with heresy. For Abravanel, the process was unfolding before his very eyes and in a rather strange observation he points to the corruption of the Christian priesthood as evidence of heresy spreading. The role assigned by Abravanel to the Conversos was long term and could be related to the role that Queen Esther had filled. Queen Esther had maintained her Jewish identity secretly and ultimately used her position to defend the Jewish people. But Queen Esther was not the only example that the Bible offered with respect to dissimulation or secrecy. The patriarchs Abraham and Isaac had both been deceptive regarding their marital status for fear that the Egyptians and Philistines would kill them to take their wives. In doing so they had gained favor for themselves and saved themselves, their households, and the future people of Israel. In another example, the newly healed Assyrian officer Naaman acknowledged the G-d of Israel as the one true G-d and nevertheless asked Elisha the prophet for permission to “bow” while entering the temple of his master in what would appear to be an idolatrous act for the sake of his position in his master’s court. Elisha granted his approbation apparently understanding the difficult position the officer faced. But it is in the key players of early Christianity that Conversos may have actually found the most amazing examples of subversion, self sacrifice, and divine purpose. Jewish tradition first rooted in the polemical work Toldot Yeshu saw individuals such as Peter and Paul, the early founders of Christianity as having lived double lives. On the surface these individuals had clearly abandoned Judaism and had founded a movement that while based on Jewish ideas had quickly veered from its Jewish origins. Their purpose, in sacrificing their identity as Jews, was to insure that the new movement was sufficiently distinct from Judaism and insure the welfare and continued existence of the Jewish people. Simon Peter was in fact Rabbi Simon Kaipha who had only feigned conversion to Christianity for the purpose of rising to its leadership. As leader, he replicated the miracles of Jesus and used his power to insure that a clear separation between Judaism and Christianity would arise, since in its early days the distinctions were not so clear. In addition, he converted and gained reigns of the movement to make certain that Jews would not be murdered by Christians. According to one source, another key objective of the dissimulating Peter was to guarantee that forced conversions would not be enacted. Ben-Shalom notes that Simon Peter appears to be the first figure in Jewish sources serving as a false convert. His actions embody the idea of mitzvah habah b’averah, the view that a commandment can be fulfilled through a transgression. According to these legendary sources, while Simon Peter acted as pope of Christianity, he clandestinely maintained his links to the Jewish community and even authored several liturgical poems that are part of the synagogue liturgy. These liturgical pieces include the Nishmat Kol Chai, the Eten Tehilah (one of the liturgical poems for Yom Kippur), and other Piyyutim (liturgical poems such as the Berachot haSheer). In what appears to be a counter-story to a passage in the Pauline epistle to the Romans in which he declares his willingness to lose his own soul ‘that Israel might be saved,’ one version of the Toldot Yeshu it is said “It is preferable to lose Shimon and one hundred others like him than to lose one Jewish soul.” A parallel story can also be found for Paul under an individual named Eliyahu. There are various alternate endings to the story. One version has Elchanan returning to Mainz and living openly as a Jew. Before doing so he writes a polemical work undermining Christianity and orders that all successors to the papacy read this work. Another version ends with Elchanan committing an act of suicide right after declaring his rejection of Christianity. Conversos knowingly or unknowingly had examples they could draw on for some measure of comfort. But the weight of their conversions would nevertheless weigh heavy on many and hence we find the Converso Fernando de Madrid relating to a non-converted Jew close to 1481 that the messiah would not appear until forced converts atoned for their sin. When the messiah did appear, he would appear in Seville, the initial center of Inquisitional activity and severely hit with executions and punishments. The complicated nature of Abravanel’s view of Conversos was most certainly formed through his intimate contact with various Conversos at court. During his tenure as head accountant for Inigo Lopez de Mendoza, the second duke of the Infantado and during his support in financing the final military campaign against Granada, Abravanel interacted with a number of prominent Conversos. This interaction may have possibly led to the very unique perspective regarding both the situations that Conversos faced as well as the underlying hope and assumption that many in fact remained aligned with and united with the Jewish people. To highlight this, Ben-Shalom points to Abravanel’s interpretation of a biblical passage dealing with the Assyrian siege of Jerusalem during the reign of King Hezekiah as related in II Kings 18 and in a second passage Isaiah 45:15. In the first passage an Assyrian emissary named Rabshakeh approached Jerusalem in an attempt to persuade the city to surrender. Rabshakeh began his entreaty by noting that G-d Himself, had ordained Sennacherib’s conquest. Most significant is his address in Hebrew, to the dismay of Hezekiah’s courtiers, and not in Aramaic. The ministers pleaded with Rabshakeh to converse with them in Aramaic and not in Hebrew. Rabshakeh ignored their request and now changed his tone by claiming that just as the gods of other peoples had abandoned them, so too would the G-d of Israel. Ben-Shalom notes that the Talmud first posits the view that Rabshakeh was in fact an apostate Israelite (yisrael mumar). Rashi also added to this view in stating that Rabshakeh was a deserter to Judaism as is evident in his acknowledgement of the G-d of Israel, but nevertheless promoted idolatry. What is most significant however, with regards to the connection to Conversos is Rashi’s further elaboration on the story. According to Rashi, Hezekiah’s ministers Eliakim, Sebna, Joah while asking Rabshakeh to speak in Aramaic and not in Hebrew, nevertheless did not believe that as a deserter that he meant to induce fear among the populace. The three ministers, Rashi posited, believed that his familial ties would prove strong enough to convince him to agree to their request. Abravanel however, believed that the reason for the minister’s request was not related to the fear it would induce. It was instead connected to a concern for Rabshakeh’s own precarious situation which was eerily and most certainly not a coincidental comparison to the plight of Conversos in his own day. Abravanel’s unique interpretation placed concern for the convert’s safety as paramount. While Abravanel did not explicitly reference Conversos, the connection is clear and examples comparable to the situation above are available. Two individuals stand out as examples. Diego Arias Davila and Pedro de la Caballeria were both victims of the Inquisition. Davila had been financier and counsel to the King of Castile. Davila was accused posthumously of having been conversant in Hebrew and of reading the Book of Psalms in Hebrew with other Jews. He was also accused of meeting Jews regularly in the street and meeting with them in their homes and singing in Hebrew. Pedro de la Caballeria, who had converted in 1414 in the aftermath of the great Tortosa debate, appeared as both an advocate of the Jewish people as well as an adversary. Caballeria was accused of participating in Shabbat dinners in the homes of Jews. In them he was able to participate actively in the associated blessings and also conversed in Hebrew on various biblical topics. When one of the persons present confronted Caballeria over his rush to convert, Caballeria purportedly retorted that as a Jew he could only have achieved the office of rabbi, but now as a Converso, he was one of the leading advisors to the city. Caballeria credited his success to the “little crucified one” and noted that no one could protest against his observance of the Yom Kippur fast or of all the holidays if he chose. Proficiency in Hebrew as a continued sign of allegiance to the Jewish people was apparently perceived by Inquisitional authorities as a viable evidence. Abravanel in contrast to Rabbi David Kimchi and Gersonides also presented an arguable favorable explanation regarding Rabshakeh’s closing derogatory comments regarding G-d. Returning to the Caballeria, his father authored a polemical work against Judaism, Islam, and heresy. Alfonso was ultimately accused of assassinating an Inquisitor, a charge which he was eventually absolved from by the pope. At his trial he was accused of holding favorable views towards Jews and providing them with assistance clandestinely. He was said to have an ongoing relationship with Rabbi Isaac de Leon and also was said to possess Jewish books. Caballeria was also accused by a non-converted Jew of possessing a charm given to him by a Sicilian rabbi, while another Jewish witness testified he had successfully dissuaded him from converting to Christianity. While caution regarding Inquisitional records should be noted, the fact that Jewish witnesses attested to several incriminating instances is quite compelling as to some continued connection on the part of Caballeria. 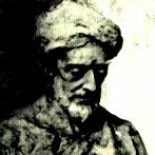 Whether or not Abravanel’s interpretation of Rabshakeh was influenced by his knowledge of Alfonso de la Caballeria and others is unclear as Ben-Shalom notes. Any assumption that Abravanel simply wanted to believe that many Conversos were in fact uniquely positioned to help the Jewish people as a consequence of their or their parents’ conversion or that many of them actively retained Jewish practices to the best of their ability is refutable. A letter written by the Jewish community of Saragossa in the first half of the 15th century refers to Converso serving as the ambassador of the King of Aragon in foreign territory. The individual had undergone baptism as a child during the mass conversions of 1391. The Jewish community’s clear support for this Converso is quite clear and similar to Abravanel’s characterization of Rabshakeh. In this most striking passage, the mitzvah of assisting and protecting Jews is applied to this Converso despite the complicated actions of the individual. Abravanel’s positions are reflective of his eschatological view that the Conversos would one day return openly to Judaism. In the mean time, their precarious position, caught between two worlds even after conversion pointed to the emptiness of Christianity. The peculiar dilemma of the Conversos can be further related in the story presented by Abravanel. Ram Ben-Shalom, “The Converso as Subversive: Jewish Traditions or Christian Libel?” Journal of Jewish Studies 50:2 (1999): 259-283. Isaac Abravanel, Commentary on Obadiah 1, 20 in Commentary on the Prophets (Tel Aviv, 1960), p 117 cited in Ram Ben-Shalom, “The Converso as Subversive: Jewish Traditions or Christian Libel?” Journal of Jewish Studies 50:2 (1999): 259-283. Ibid. 259. Yitzhak Baer stated that “Conversos and Jews were one people, united by bonds of religion, destiny and messianic hope, which in Spain took on a unique coloration typical of the people and the country…The confession and testimonies contained in these records (of the Inquisition) breathe a nostalgic yearning for the national homeland, both earthly and heavenly- a yearning for all things, great and small, sanctified by the national tradition, and for something even greater, which had created the people and maintained in life.” Yitzhak Baer, A History of the Jews in Christian Spain, Volume 2, (Philadelphia: Jewish Publication Society, 1961), pp. 424-425. Ram Ben-Shalom, “The Converso as Subversive: Jewish Traditions or Christian Libel?” Journal of Jewish Studies 50:2 (1999): 259-283. See Benzion Netanyahu, The Marranos of Spain: From the Late 14th to the Early 16th Century, According to Contemporary Hebrew Sources, (Ithaca: Cornell University Press, 1999), pp.177-203. Abravanel’s Commentary on Ezekiel 5:6. Cited in Jose Faur, Four Classes of Conversos: A Typological Study, Revue des Etudes Juives, CXLIX (1-3), Janiver-Juin 1990, pp. 113-124. While these were immediate reasons, scholars look to understand why Spanish Jews converted in such large numbers in contrast to other Jewish communities faced with desperate circumstances. Yosef Hayim Yerushalmi notes the following: “Will we ever know how many Jews were lost over the years? Amongst the Jews who were lost must be counted not only those who were the victims of massacres and martyrdoms, but equally those who went over to the other side or converted. And these Jews were lost not because- as the most simplistic explanation would have it- they were seduced by purely secular ambitions or material benefits; they were conquered by a real, a genuine despair; they feared that the Jewish people had no future.” Yerushalmi quoted in Pierre Birnbaum, “Exile, Assimilation, and Identity: from Moses to Joseph,” in Carlebach, et al. Jewish History and Jewish Memory: Essays in Honor of Yosef Hayim Yerushalmi, 1998. Jose Faur, Four Classes of Conversos: A Typological Study, Revue des Etudes Juives, CXLIX (1-3), Janiver-Juin 1990, pp. 113-124. Isaac Abravanel, Yeshuot Meshiho (Salvations of his Anointed) (Koenisgsberg, 1861), 34b. See Ram Ben-Shalom,” The Typology of the Converso in Isaac Abravanel’s Biblical Exegesis,” Jewish History 23:9 (2009): 281-292. Jose Faur, In the Shadow of History: Jews and Conversos at the Dawn of Modernity, (New York: SUNY, 1992), p. 50. Isaac Abravanel, Ma’ayannei ha-Yeshu-ah (Wells of Salvation) (Stettin, 1860), 12, 5, p. 57b. See also Ram Ben-Shalom,” The Typology of the Converso in Isaac Abravanel’s Biblical Exegesis,” Jewish History 23:9 (2009): 283-292. Abravanel’s Commentary on Ezekiel 5:7. Cited Jose Faur, In the Shadow of History: Jews and Conversos at the Dawn of Modernity, (New York: SUNY, 1992), p. 50-51. Yeshuot Meshiho, 34a cited in Ram Ben-Shalom,” The Typology of the Converso in Isaac Abravanel’s Biblical Exegesis,” Jewish History 23:9 (2009): 283. A. Jellinek, Beit Ha-Midrash, Vol. 6. (Jerusalem: Bamberger et Vahrman 1938), p. 10. See also J.H. Greenstone, ‘Jewish Legends” HJ, XII pp. 89-104. Jakob Jocz, The Jewish People and Jesus Christ (Grand Rapids: Baker Book House, 1949) pp. 201, 383. See also Joseph Klausner, Jesus of Nazareth (New York: The Macmillan Company, 1943) pp. 50-51. A. Jellinek, Beit Ha-Midrash, Vol. 6. (Jerusalem: Bamberger et Vahrman, 1938), p. 9. See Kraus, Leben Jesu, pp. 176-17; also J.H. Greenstone, ‘Jewish Legends” HJ, XII. pp 95-96. S. Legasse, ‘La Legende juive des Apostres et les rapports judeo-chretiens dans le haut Moyen Age, Bulletin de Litterature Ecclesiastique, LXXV (1974), pp. 104-106. A. Jellinek, Beit Ha-Midrash, Vol. 5. (Jerusalem: Bamberger et Vahrman, 1938), p. xxxviii. A. Jellinek, Beit Ha-Midrash, Vol. 5. (Jerusalem: Bamberger et Vahrman, 1938), p 151. Yitzhak Baer, A History of the Jews in Christian Spain: Volume II, (Philadelphia, Jewish Publication Society, 1961), p. 352. Haim Beinart, Conversos on Trial: The Inquisition in Ciudad Real, (Jerusalem: The Magnes Press, 1981), p.25. Ram Ben-Shalom,” The Typology of the Converso in Isaac Abravanel’s Biblical Exegesis,” Jewish History 23:9 (2009): 283. Abravanel, Interpretation of II Kings 18:26, Interpretation of the Former Prophets, p. 656.Cited in Ram Ben-Shalom,” The Typology of the Converso in Isaac Abravanel’s Biblical Exegesis,” Jewish History 23:9 (2009): 284. Ram Ben-Shalom,” The Typology of the Converso in Isaac Abravanel’s Biblical Exegesis,” Jewish History 23:9 (2009): 284-285. Abravanel, Interpretation of II Kings 18:26, Interpretation of the Former Prophets, p. 657. See Ram Ben-Shalom,” The Typology of the Converso in Isaac Abravanel’s Biblical Exegesis,” Jewish History 23:9 (2009): 285. Fritz Baer, Die Juden im Christlichen Spanien, I (Berlin 1929), pp. 757-758. Abravanel, Commentary to Isaiah 45: 15, p.222 cited in Ram Ben-Shalom,” The Typology of the Converso in Isaac Abravanel’s Biblical Exegesis,” Jewish History 23:9 (2009): 287-288. Ram Ben-Shalom,” The Typology of the Converso in Isaac Abravanel’s Biblical Exegesis,” Jewish History 23:9 (2009): 289. Posted by Rabbi Juan Bejarano-Gutierrez the director of the B’nei Anusim Center for Education and the author of Secret Jews: The Complex Identity of Crypto-Jews and Crypto-Judaism. This entry was posted on April 29, 2013 by rambam442013 in Crypto-Jewish History.